When Sparkmage Apprentice enters the battlefield, it deals 1 damage to target creature or player. 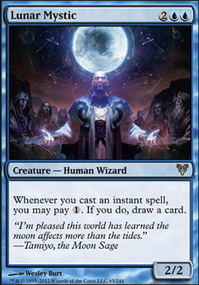 What do you think about the new Wizard Tribal Lightning Bolt-esque card from Dominaria? 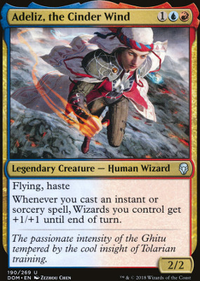 It could be really good with something like Sanguinary Mage, Fireslinger, or Sparkmage Apprentice. Sword is broken with krenko, especially like I said with the altar. Krenko with sword +any goblin and the altar creates an infinite combo for infinite 1/1 goblins. 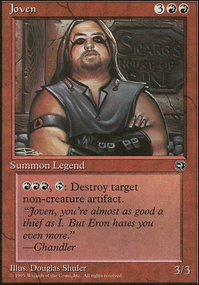 You could theoretically win turn 3 with it. 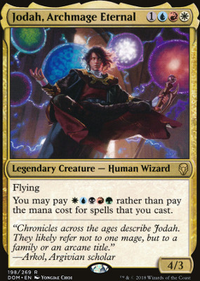 Also cards I'd suggest tossing.Sparkmage Apprentice Doesn't help Krenko and the one damage it does when it comes in is inconsequential.Ornithopter It's a free flying blocker at best, but it doesn't offer you any real benefits other than a potential few extra life points that shouldn't matter since you should be faster than anyone else anyway.Forgotten Cave Cycling is awesome, don't get me wrong but you've got much better options than this, Look into a Wheel or something instead.Sure Strike The spell isn't bad, for most decks I'd usually say go for it, but goblins are a swarm tribe. You're looking for lots of tiny bits of damage, one guy doing an extra 3 doesn't do much for you.Collateral Damage There is no reason to run this over Lightning BoltTrial of Zeal You aren't running any Cartouches, this is basically an expensive lightning bolt.There's a few others I think are sub-optimal, but those are the big changes I'd consider making personally. 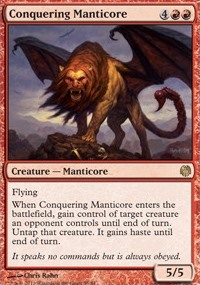 As for ideas on what would be better in their place...Purphoros, God of the Forge costs some $$$, but you'll be dumping goblins all over the place so he can win the game for you on his own, definitely worth the investmentFervor Haste is gonna be important for your goblins, you have some creatures that do it, having something a little harder to get rid of that gives haste is definitely welcome.In the Web of War More haste and now all your goblins are 3/1 when they drop. Definitely a game changerRummaging Goblin Draw is important, and while discard is a pain, goblins have the best discard option ever, Squee, Goblin Nabob he can be a permanent way for you to grow your hand without ever having to actually lose anything important.Goblin Recruiter Red doesn't have a lot of tutors, this guy is great for that AND he's got the ability to pull as many as you want, gotta play him smart though.Goblin Assassin He might hurt you too, but with krenko pumping out buttloads of tokens, it's essentially a boardwipe for everyone except you. Sparkmage Apprentice? Two mana cost only and also does one damage etb. Maybe? I think what this deck needs is fewer cards, not more--consistency is looking like a problem. Right now I'm seeing 88 cards before lands. 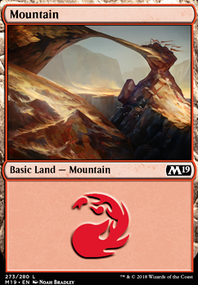 If you want to keep building up, you might look for a Battle of Wits as an alternate win condition. Hands of Binding seems out of place here. Sparkmage Apprentice is underwhelming; it can probably be taken out. If you have one, and you're willing to move away from Modern, Patron Wizard would offer you another layer of control, but it may be out of budget. Replace as many Shocks with Lightning Bolts as you can. There are better counterspells than Cancel: Deprive, Dissolve, Dissipate, and that's just in one letter of the alphabet. I like the interaction between Docent of Perfection Flip and Sigil Tracer; if you want to focus on it (and you should), you need 4 of each. I'm trying to build a wizard tribal deck with the cards I own, focused around Docent of Perfection Flip and Sigil Tracer The cards listed here are the ones I want to use, still have to filter them before uploading a built deck. Please help me with ideas (any combo you see among the cards I propose???). Keeping it budget or zero purchase is the main goal. Hi_diddly_ho_neighbor Panhandle and any of the gearhulks would make for a good, janky time. 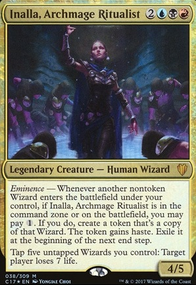 Something along the lines of Sparkmage Apprentice being printed might actually make it worthwhile.